A cataract is a clouding of the normally clear lens of the eye. It can be compared to a window that is frosted or yellowed. The amount and pattern of cloudiness within the lens can vary. If the cloudiness is not near the center of the lens, you may not even be aware that a cataract is present. 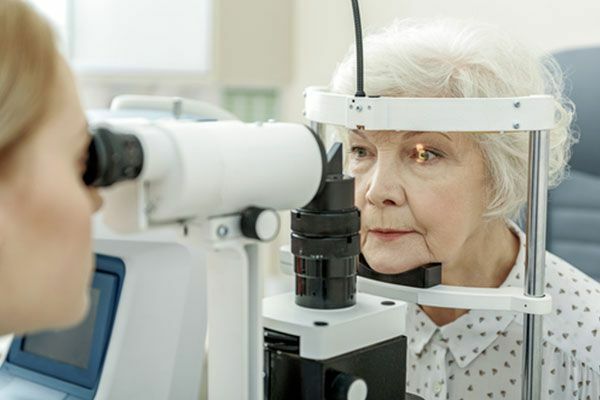 Fortunately, the practice of cataract removal has progressed significantly in recent years. It is now an out-patient procedure completed with relatively simple follow-up care. For most patients, the physician will have a recommendation as to what type of artificial lens will work best. Yet there are some instances when the patient will have the opportunity to choose from different options. Learn more about intraocular lenses (IOLs), which are often used in cataract surgery to replace the clouded lens. Cataract surgery is an advanced procedure that can restore a patient's vision even after their lenses have become compromised by a cataract. Contact us today to learn more and to schedule a consultation with one of our doctors in Olathe or Leawood.